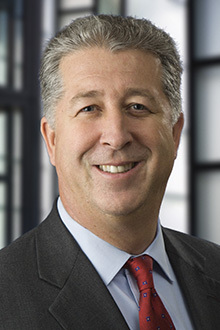 Darrell Whiteley is a partner in Lewis Brisbois’ New York office, the co-chair of the national Construction Practice of Lewis Brisbois, and a co-chair of the OSHA Safety & Health Practice. He runs a practice team of 24 lawyers and handles all forms of general liability cases. Mr. Whiteley specializes in the defense of premises liability and construction cases under the New York Labor Law involving catastrophic accidents for owners, developers, and contractors. The Whiteley group represents national, regional, and local owners and construction firms undertaking large public and private sector construction projects. These projects presently include the Second Avenue Subway, the East Side Access Tunnel, the reconstruction of LaGuardia Airport, the New York City School Construction Authority, the Lower Manhattan Development Corporation, the New York City Housing Authority, the Waterworks Project in Hells Kitchen and elsewhere in Manhattan, the MTA New Capital Program starting in 2017, a national highway construction contractor with open projects in Texas, Florida, California, and Illinois, and a joint venture handling a significant tunnel boring project in Washington state. Each of these high-profile projects incorporates public safety, site safety, and premises liability. Mr. Whiteley has focused experience in the defense and litigation of large economic damage claims involving union and non-union labor for for prominent owners and developers of residential and commercial buildings and sports complexes including The Barclays Center and The Arthur Ashe Stadium. His practice also includes the defense of many high-profile cases, including the Deutsche Bank Fire case in Lower Manhattan, the Con Edison Steam Pipe Explosion case at 41st and Lexington Avenue, the “Black Sunday” Firefighter tragedy in the Bronx, the Harlem Gas Explosion case at Park Avenue and 116th, and the recent Legionnaires outbreak cases on East 149th Street in the Bronx. Other areas of practice include premises liability, assault, negligent security, transportation, trucking, automobile, products liability, property damage, environmental exposure cases, as well as other general liability and complex tort claims for primary and excess insurers. Mr. Whiteley has served twice as the co-chair of an international consortium of construction law firms. He has extensive trial experience in both New York state and federal courts, and has lectured frequently on trial preparation, jury selection, construction litigation, premises liability, site safety, and the Affordable Care Act, among other litigation topics.